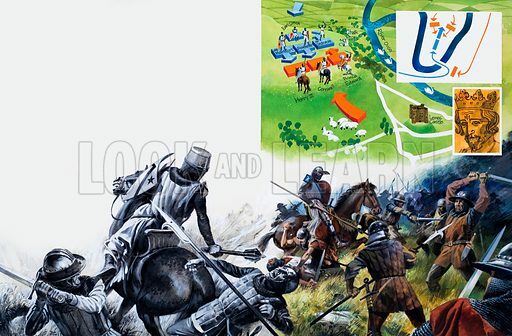 The Battle of Lewes. Original artwork for illustration on p23 of L&L no. 1042 (27 February 1982).